While I joke about my #whitegirlproblems, I do lead a blessed life. One of the exceptional things about living int he Middle East is meeting people from around the globe. I am fortunate to have friends and colleagues from dozens of countries including The Philippines and Somalia. While the situation in The Philippines is well documented, the recent Cyclone in Somalia may have passed you by. I was especially moved when at a special event at my workplace, colleagues spoke movingly about the plight of people in both countries. 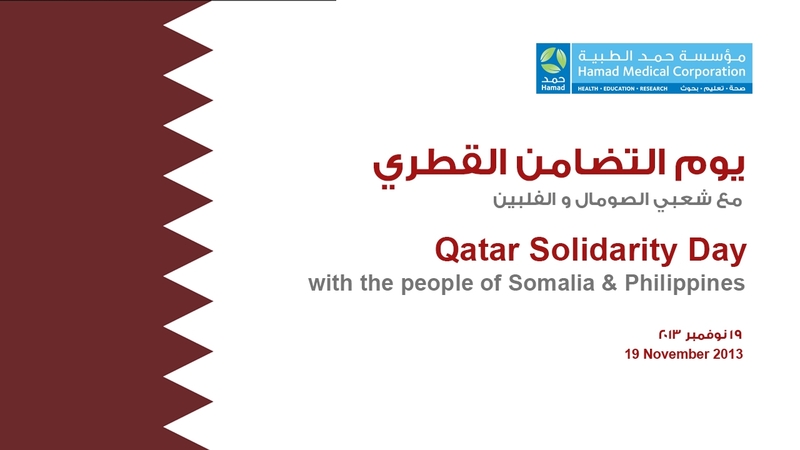 Today in Qatar has been earmarked as a day of solidarity for our friends in both countries, and I urge you to do what you can to help both countries.